Make your workdays more productive. Streamline and automate time-sucking paper transaction processes. 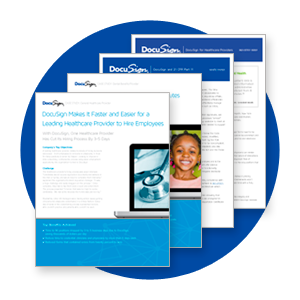 DocuSign helps healthcare organizations complete patient onboarding 16x faster, from 8 hours down to 30 min. 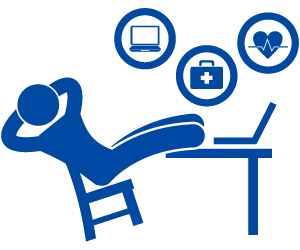 You can impact your patients' lives by improving efficiency and patient services by going digital. "DocuSign is so easy to use, you spend 30 minutes to train a new user, and they're good to go." I consent to receive email communications from DocuSign, and understand I may opt-out from receiving further email communications at any time.